Resurrection Eggs are the perfect way to crack open the glorious story of Jesus' resurrection. Stored in a plastic carton, a dozen rainbow-hued eggs are filled with surprises. 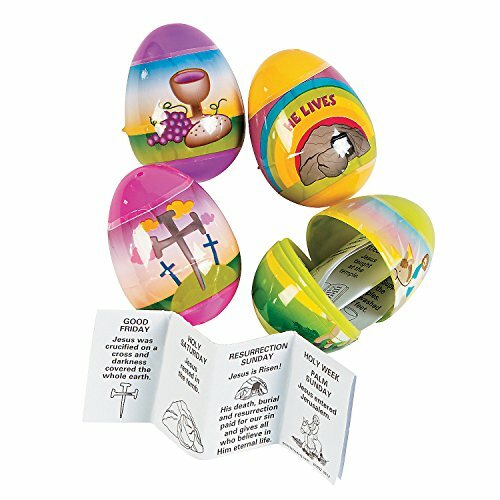 Pop them open and find miniature symbols of Easter inside. An updated companion booklet in English and Spanish features Bible stories explaining the significance of each object. Resurrection Eggs are easy to use from home to classroom to neighborhood hunt, and are great way to start new traditions. 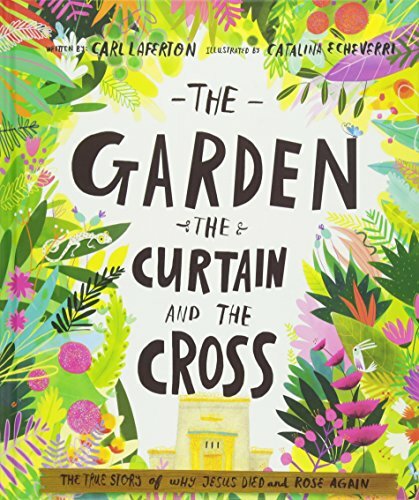 Whether you spread out the reading of the book and opening of the eggs throughout Lent, or make the Resurrection Eggs an Easter morning tradition, children will be captivated by the religious figurines and their accompanying stories telling of Jesus' crucifixion and resurrection. 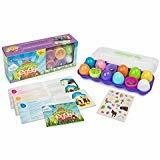 Includes 12 stickers corresponding to the eggs. Ages 5 and up. The Easter Story Egg is a tradition that celebrates the true meaning of Easter. 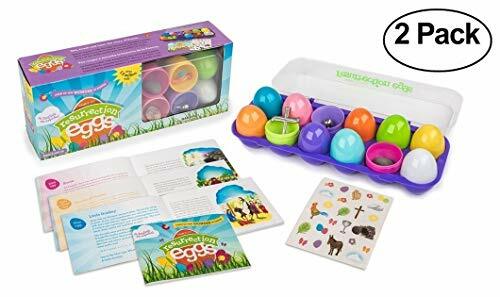 This family activity includes a hardcover book and 7 wooden nesting Eggs. 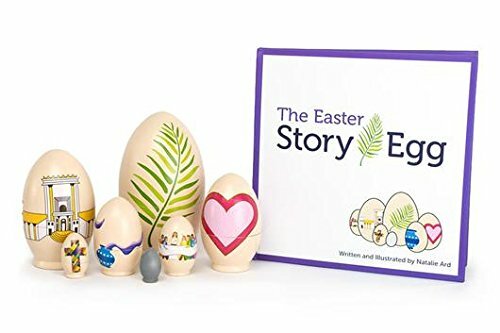 The Story Egg book begins on Palm Sunday and ends on Easter Sunday. Each Egg within the set of nesting Eggs has a story that relates to a particular day in Holy Week, leading up to Easter Sunday. As the children open each Egg they will discover the Easter story and the journey of Jesus through Passion week. Finally, on Resurrection Sunday the child will open the smallest Egg to find it empty because JESUS HAS RISEN! Scripture in The Easter Story Egg book is taken from the NIV version of the bible. Please remember these eggs are made of raw natural wood. They may be tight to open the first few times but they will loosen with use. Occasionally the rim of the egg can shift during the drying process. Please contact us through Amazon messaging if you discover an egg that does not fit properly and we will be happy to replace it. 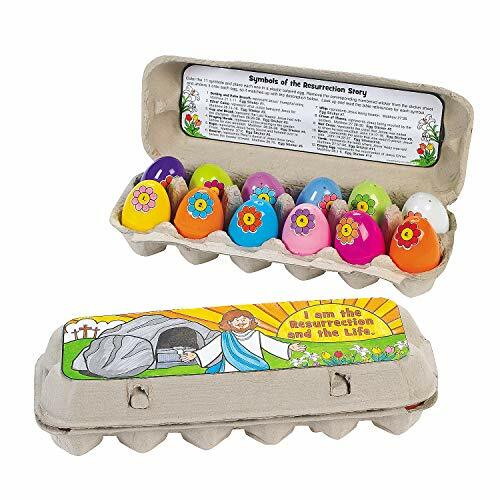 Color Your Own Resurrection Story Eggs Craft Kit. Each set includes egg carton, paper labels and paper symbols. 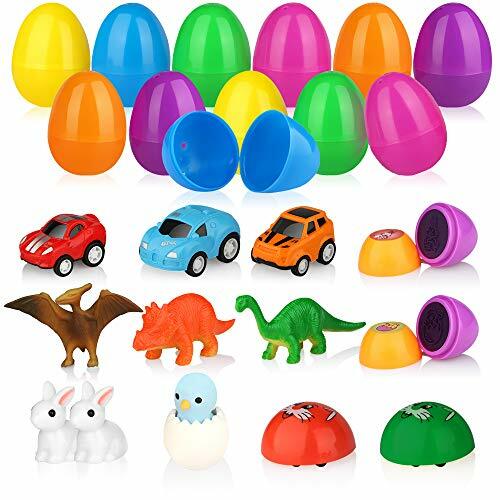 Color the labels and symbols and then add each symbol to the plastic eggs that are included. 1" - 2" Eggs not included. : Each piece, package, box, or polybag with header bar coded. Assorted. Plastic. Each egg includes the story of the Resurrection. 2 1/2"